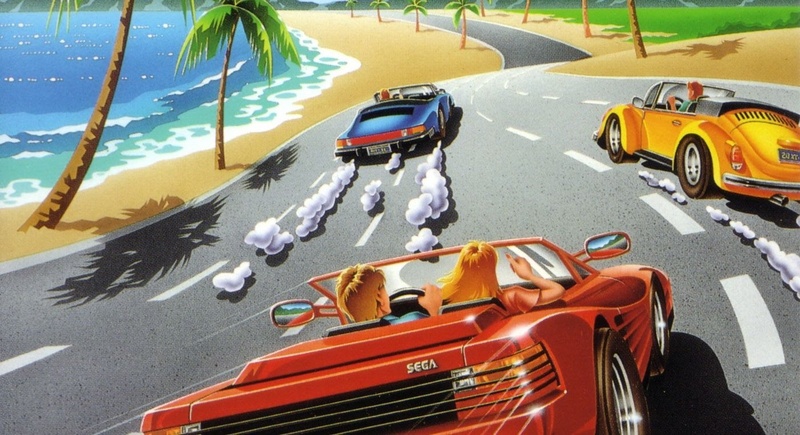 Out Run is an arcade classic with some exceptional music. Its various ports and sequels over the years have only added to that rich musical landscape with new tunes for each game. When it got released on Switch late last year, it came packed with even more tunes for you to cruise with, giving you another excuse to speed down the fictional streets of Out Run-ville (that's my unofficial name for the place). Now, those songs are finally coming to a CD for you to play everywhere. Sega has announced that a "Sega Ages Out Run Music Collection" will be heading to the Sega Store on February 23, 2019. Going for 2,500 yen, it will include 15 tracks that contain the original four songs, the bonus ones created for the 3DS and Switch ports and a select number from Out Run 2 and 2006. It isn't a definitive collection, but it beats having none of these songs available. You can see the full song list below. While it is unlikely to come West, CD's aren't region locked. It might be a bit difficult getting it from the official Sega website, but there are bound to be listings on eBay within a month of release.